Fully licensed, bonded and insured, our professional staff provides landscaping and maintenance services in a prompt and professional manner with a commitment to client satisfaction. Call GLS Landscaping and Maintenance today at 336-643-2554 or email us at info@glsmaintenancenow.com to schedule an appointment for a free estimate. GLS Landscaping and Maintenance provides full-service landscaping and maintenance services to commercial properties including office parks, corporate campuses, retail spaces, multifamily residential, and industrial parks. 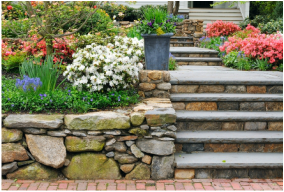 From basic mowing and trimming, to landscape design, installation and maintenance, GLS offers comprehensive landscaping and maintenance services for residential clients. Contact us today to get receive a free quote for your commercial or residential landscaping needs. You can fill out an online form by clicking on the button below, or you can contact us via phone by calling 336-643-2554.